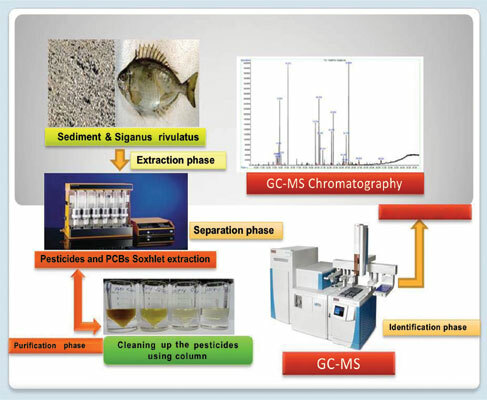 Keywords: PCBs, pesticides, sediments, Siganus rivulatus, Egyptian Mediterranean Coast, OCPs. Keywords:PCBs, pesticides, sediments, Siganus rivulatus, Egyptian Mediterranean Coast, OCPs. Abstract:Background: Persistent organochlorine compounds including Organochlorine Pesticides (OCPs) and Polychlorinated Biphenyls (PCBs) are one of the important components of chemical pollutants that enter into the Egyptian marine environment through different sources, more particularly from estuaries.